Based in Atlanta, Delta Air Lines merged with Northwest Airlines in Oct-2008 to form one of the largest airlines in the world. Operating an extensive fleet of Boeing aircraft, Delta�s network includes extensive domestic services within the United States as well as international services to Central and South America, the Middle East, Asia, Australia, Africa and Europe. The airline's main hub is Hartsfield-Jackson Atlanta International Airport, which ranks among the world's busiest - largely due to Delta's dominant presence at the facility. Delta also has hubs in New York, Detroit, Minneapolis, Memphis and Salt Lake Cityin the USA and international hubs at Amsterdam, Tokyo and Paris. Delta is a founding member of SkyTeam. By Capa Aviation. Following the death of Zimbabwe's beloved lion, Cecil, United and Delta Airlines have made it policy to prohibit transportation of various endangered animals. Elephants, rhinoceroses, leopards, water buffalo as well as lions are listed. A truly great initiative to ensure our wildlife, animals and nature is preserved. United Airlines joined Delta Air Lines Inc. in banning big-game trophies as freight after the killing of Cecil the lion in Zimbabwe triggered mounting global outrage. �We felt it made sense to do so,� Charles Hobart, a United spokesman, said Monday in disclosing the carrier�s decision to prohibit transportation of elephants, rhinoceroses, leopards and water buffalo as well as lions. Hours earlier, Delta announced its new policy covering the same five animals. The carriers spotlighted the mundane logistics that follow a visiting hunter�s bagging of African wildlife: getting the head, horns or hide back home. Airlines already faced animal-rights groups� pressure to reject such cargo even before last month�s killing of Cecil, 13, a star attraction for tourists at Zimbabwe�s Hwange National Park. 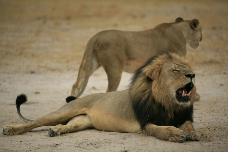 Neither United nor Delta referred to Cecil, who allegedly was lured out of the Hwange park. Zimbabwe wildlife authorities suspended hunting of lions, leopards and elephants in some areas near the park this weekend amid conflicting reports on whether poachers had killed another lion, possibly Cecil�s brother. Morgan Durrant, a spokesman for Atlanta-based Delta, declined to comment beyond the statement, and United�s Hobart had no comment beyond confirming the new policy. Delta is the biggest U.S. carrier to Africa, while United, a unit of United Continental Holdings Inc., serves only one destination on the continent -- Lagos, Nigeria. American Airlines Group Inc., which doesn�t fly to Africa, had no immediate comment regarding its trophies-as-freight stance. In Asia, Singapore Airlines Ltd. and South Korea�s Asiana Airlines Inc., also have banned such cargo on their planes, the carriers said in e-mailed statements. Singapore Airlines said its ban has been in place since May. South African Airways moved in April to halt the carriage of legally acquired hunting trophies of lions, elephants, rhinoceros and tigers, then ended its embargo in July once it concluded that it had safeguards to stop illegal shipments, the country�s Department of Environmental Affairs said. �Not everything that gets shot is Cecil,� said Barry Parsons, chief strategy officer for South African Airways. Weeks after South African Airways� initial action, Emirates airline agreed in May to stop carrying any wildlife trophies, according to the International Fund for Animal Welfare. A message left for comment with the airline�s U.S. offices wasn�t immediately returned. �No airline should provide a get-away vehicle for the theft of Africa�s wildlife,� Wayne Pacelle, chief executive officer of the Humane Society of the U.S., said in a statement. Zimbabwe has requested the extradition of Walter Palmer, the Minnesota dentist who shot Cecil. Professional hunter Theo Bronkhorst, who assisted in stalking the animal, has appeared in court in the country. The U.S. Fish and Wildlife Service said it�s investigating the incident. Animal-rights groups have called for a ban on trophy hunting, and Palmer has received death threats through social media and has closed his dental practice, at least temporarily. Palmer told the Minneapolis Star Tribune newspaper in a statement that he thought the hunt was legal. ACCRA, March 5, 2014 � Delta Air Lines (NYSE: DAL) has revised the schedules for its flights between Accra�s Kotoka International Airport and New York�s John F. Kennedy International Airport to offer customers improved flight connections to destinations across the United States, Latin America and the Caribbean. The revised schedules will increase the number of same-day onward flight connections available to customers flying from Accra to New York-JFK from March 29. Delta will be the only carrier to operate service from Accra during daylight hours, providing additional choice when travelling to the United States. The schedule also allows for more options for cargo forwarders and handlers when shipping Ghanaian goods to the United States. From March 29, 2015, the flight will operate four times per week using a 225 seat Boeing 767-300ER aircraft. Passengers in Delta One, formerly known as BusinessElite, will continue to enjoy 180-degree fully flat-bed seats in a 1x2x1 configuration, allowing each customer direct aisle access and enhanced privacy. Delta also offers a Premium economy product, Delta Comfort +, with seats that feature up to 10cm of legroom and 50 percent more recline than Delta�s standard international Economy class seats, plus priority boarding. In addition Delta has invested in its main cabin economy class with seats that provide additional legroom, adjustable headrests and, personal in-seat entertainment screens with over 350 films as well as USB power at each seat. Passengers will also enjoy an improved menu, sleep kit and a bottle of water. Delta has operated service to Ghana since December 2006 and now operates service to four African cities in four countries. 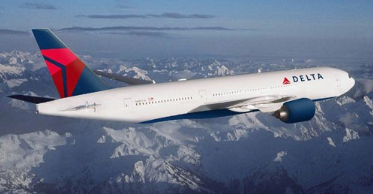 Delta has grown from 22 weekly departures to and from Africa in December 2006 to more than 42 planned for summer 2015. Through the hubs in Atlanta and New York-JFK, Delta offers an unsurpassed network of hundreds of convenient onward connections. Delta services between Ghana and the United States are available for booking via travel agents and Delta�s dedicated reservations teams in Accra, telephone number 030-221-3111. ATLANTA and LONDON - Delta Air Lines and Virgin Atlantic Airways Ltd. today detailed a codeshare agreement across 108 routes* that offers customers seamless connections to 66 destinations across North America and the U.K.
Today's codeshare announcement coincides with Delta acquiring a 49 per cent stake in Sir Richard Branson's airline - marking the next step towards a full joint venture between the two carriers. Virgin Atlantic will place its code on 91 Delta routes, including both trans-Atlantic and domestic U.S. routes. Delta will place its code on 17 Virgin Atlantic routes, including the recently launched Little Red domestic U.K. services connecting London to Manchester, Edinburgh and Aberdeen. Priority check-in, boarding, baggage handling and additional baggage allowance on all Virgin Atlantic and Delta operated flights worldwide - not just those within the codeshare agreement - for Virgin Atlantic Upper Class and Flying Club Gold members as well as Delta BusinessElite and SkyMiles Gold, Platinum and Diamond members "This is a strategic investment that enhances Delta's network with greatly improved access to London Heathrow, the leading marketplace on the trans-Atlantic," said Ed Bastian, Delta's president. "As we unite two leading global airline brands in an innovative partnership that focuses on delivering enhanced benefits and services for our customers, we also become a more formidable competitor across the Atlantic." Craig Kreeger, Virgin Atlantic CEO said; "Today is an important day for Virgin Atlantic and our customers in both the U.S. and U.K. As new shareholders in the airline, Delta is an important ally in the all-important trans-Atlantic market. We can stand firm together against the competition and can now offer more destinations, a smoother connecting airport experience and ultimately the best trans-Atlantic on board experience. Virgin Atlantic's award-winning customer experience is loved around the world and we look forward to sharing our unique Clubhouse and in-flight hospitality with many Delta passengers over the years." The two airlines announced their intention to enter into a joint venture agreement in December 2012. Last week unconditional merger clearance was granted by the European Commission and the U.S Department of Justice closed their review of the transaction. As of today, Delta has successfully completed its acquisition of a 49 per cent stake in Virgin Atlantic. The U.S Department of Transportation is currently reviewing the parties' application for antitrust immunity relating to the proposed joint venture of the parties' operations on nonstop routes between the US and the UK. This review is expected to be completed during third quarter of 2013, and the implementation of the Delta/Virgin Atlantic joint venture is anticipated to occur in the first quarter of 2014. Once implemented, this will deliver further significant additional consumer benefits and vibrant competition to the trans-Atlantic market. SEATTLE - Delta Air Lines celebrated new nonstop service from Seattle to Shanghai with an inaugural service ceremony. The flight is the latest addition to Delta's growing Asian gateway in Seattle, as the service, between Seattle-Tacoma International Airport and Shanghai Pu Dong International Airport complements current nonstop service from Seattle to Beijing, Osaka, Tokyo-Narita and most recently, Tokyo-Haneda. "Delta's new Shanghai service is the latest step toward building Seattle into a world-class Asian gateway," said Richard Anderson, Delta's chief executive officer. "Seattle's strong business and cultural ties to Asia as well as geographic location make it a natural departing point for flights across the Pacific." Like all of Delta's trans-Pacific flights, the new Shanghai service features full flat-bed seats in BusinessElite as well as Economy Comfort seating and in-flight entertainment in every seat throughout the aircraft. The flight will operate using a 208-seat Boeing 767-300ER aircraft with 36 full flat-bed seats in BusinessElite, 29 seats in Economy Comfort and 143 Economy class seats. Shanghai service is Delta's second route between Seattle and China, following Beijing service which began in 2010. In addition to its Asian routes, Delta operates nonstop service from Seattle to Paris and Amsterdam. This summer the airline will operate more than 45 daily flights to 18 destinations worldwide from Seattle. From Shanghai, Delta's partnership with China Eastern will also provide extensive connection opportunities throughout China for customers traveling from Seattle. Delta Air Lines, Inc. provides air transportation for passengers and freight throughout the United States and around the world. As of August 1, 2003, Delta (including its wholly owned subsidiaries, Atlantic Southeast Airlines, Inc. and Comair, Inc.) served 217 domestic cities in 46 states, the District of Columbia, Puerto Rico, and the U.S. Virgin Islands, as well as 46 international cities in 31 countries. Delta mainline, domestic and international service, Song, Delta Express, Delta Shuttle®, Delta Connection®, Delta SkyTeam®, and Worldwide Partners operate 5,813 flights each day to over 447 cities in 81 countries. Based on calendar 2002 data, Delta is the second-largest airline in terms of passengers carried, and third largest as measured by operating revenues and revenue passenger miles flown. Delta is the leading US transatlantic airline, offering the most daily flight departures, serving the largest number of nonstop markets and carrying more passengers than any other US airline.